I was extremely nervous prior to taking a 14-day land tour/cruise to Alaska because I am confined to a wheelchair. Though I can stand, I do not walk at all. When travelling in a wheelchair, there is always a glitch with something that is supposed to be ADA compliant and isn't. Our trip began in Anchorage, and then took us to Copper Center, Fairbanks, Denali National Park, Mt. McKinley and Talkeetna. After the land tour, we boarded the cruise ship in Whittier and travelled southbound through the Inland Passage to Vancouver, with port docking in Skagway, Juneau and Ketchikan. Overall, the trip was wonderful from an accessibility standpoint, though there were a few hiccups that we encountered along the way. I brought them to the cruise line's attention and will share them with you. Never assume that when someone tells you a room, transport, transfer, etc. meets ADA standards that it is. There is a wide variance in interpretation and assumptions when one says it is "ADA compliant." You must make a list of specific questions that require specific answers from a travel agent who really is knowledgeable about your specific, required accommodations. When I started planning my trip, I worked with cruise line directly. I spoke with agents who actually cruised on the ship we were taking, who could give me info about wheelchair-friendliness on the ship and help me choose a room. I also spoke with their access department about accessibility accommodations regarding on-land hotel rooms, and things such as shuttle/motor coach/railroad lifts. These folks were extremely helpful. I didn't want to work through an independent travel agency as I have learned from experience that specific things don't always get answered properly, or get "lost in translation" when dealing through a third-party. I booked my trip almost a year in advance, so that I could get exactly what I wanted. For example, I wanted a room on a deck that contained a buffet, grill, and outside pools/seating/movies to eliminate elevator usage. It also saved us $1400 by getting an interior room--the outdoor open deck was just outside our door so we didn't need a room balcony. We booked in September because there were fewer crowds to navigate in the towns, and no young children. I find that when I am in my scooter, I have to always be looking out for others; so many people--especially kids-are not looking out for me. In addition, we didn't have to deal with mosquitoes at that time of year, we saw the Northern Lights, gorgeous autumn color, and the days were cool--50-60 degrees. The cooler temperatures were good for me since my MS is very sensitive to warm, humid days, which occurs often in the summer months in Alaska. I sent a letter in writing to their Access Department stating that I was "confined to a wheelchair", therefore needing lifts for all transport and a roll-in shower for all hotel rooms if available. I recommend sending such a letter if you are totally confined, as this will cover you later if problems develop, which in my case it did. For example, there were three motor coaches that arrived that did not have lifts. Fortunately, I am small (125 lbs.) and my husband is strong, so I was able to be carried up into the coach. Otherwise, I would have had to stay behind which would have disrupted my trip, and cancelled one of my tours. In the future, this is what I would do and what I would recommend others to do: Check with the Tour desk at every hotel that you stay at to re-confirm that a transport with a lift will be available for you for the next several days. You can also re-confirm any other special needs that you had requested ahead of time, such as a roll-in shower. Twice I was given a room without a roll-in shower, and later found out that this room was given to someone who didn't require one. If I had been travelling with my sister instead of my husband, I would not have been able to shower since she couldn't lift me into a tub that had a chair put in it. If you are a part-time wheelchair user, please note that there are 5-7 steps going up into motor coaches and they are quite steep. The railroads had lifts, as did the separate tour buses in Denali National Park. Amazingly, the accessibility in the Alaskan towns--even the smallest inland places--was very good. When I use a restroom, I need assistance from my hubby. We were able to find a restroom that was large enough for both of us, even at the roadhouses we stopped to eat in during our journey. Note: the railroad restrooms cannot accommodate two persons, so if you are someone who requires a helper, you will need to prepare yourself in other ways for the 5-6 hour ride. 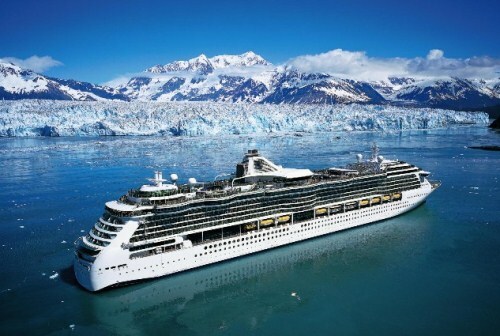 If you are thinking about taking a cruise or tour, I suggest to start planning your arrangements a year in advance because handicap accessible rooms are limited and fill up fast. Finally, because of the unpredictability of my MS, I opted to buy travel insurance in case health problems occurred that would prevent me from going. During most of the 33 years Debbie Petrina has lived with multiple sclerosis, she has spoken with thousands of persons in a variety of capacities on her own and for the National MS Society. Author of Managing MS: Straight Talk... Debbie counsels, writes, educates, researches, makes videos and advocates awareness/understanding of MS through her website and other social media.